For a few years, we have been waiting for Resident Evil 7 to come. Obviously, it was a long journey that required a lot of patience and understanding. Every single week or so, we could find some really interesting details and news about the upcoming game, however today, all that news just stopped going to the social websites. The reason for this, is a perfect game developer tactics to keep everything in a secret, until the game will finally see the daylight. However, speaking about the demo version, which was released on all the possible platforms, we have a really great news! Resident Evil 7 PS4 edition was finally completed and if a two months ago we were able to play this game on PS4, today we can enjoy the demo version on PS4 Pro and PS VR. In short, the demo, which was released exceptionally for PS4 gamers, has many updates and it provides with the best graphics. The demo takes gamers to the scary and unsafe house, where they meet a crazy family called Bakers. Unfortunately, this family does not emit any kindness or hospitality. Vice versa, Bakers are a true cannibal, who happily participates in killing people and eating the leftovers of their bodies. Without no doubt, such a Resident Evil 7 PlayStation 4 edition was created to show the real essence of the game and to scare the gamers a bit. Also, Resident Evil 7 presented one more demo, which was called as “Kitchen”. According to reliable resources and GameSpot in general, this demo was only able on PS4 VR version and it actually have experienced a great success. We are truly convinced, that you will remember what we are speaking about, when you look at the picture above. Here you can see the Bakers family and their eating scene, which later became a real sensation. As the rest Resident Evil 7 PS4 gameplay is focused on survival, this one was more about staying emotionally stable, while being caught by one of the worst families ever. Actually, when this “Kitchen” trailer was first released on Resident Evil official website and later on YouTube, we thought that it is an actual unhappy ending, where Ethan simply dies. However, we were completely wrong. This is a scene, where Ethan succeed to escape. Speaking about game control and visuals on PS4, they are really amazing. Not only it is easy to play the game while using a control remote, but also, PS4 Resident Evil 7 edition makes the game even more realistic. The graphics are so well done, that it seems you are living a life of Ethan’s. More specifically, this demo version allows to immerse yourself in the world of horror and to stay there, until you escape being safe and calm. 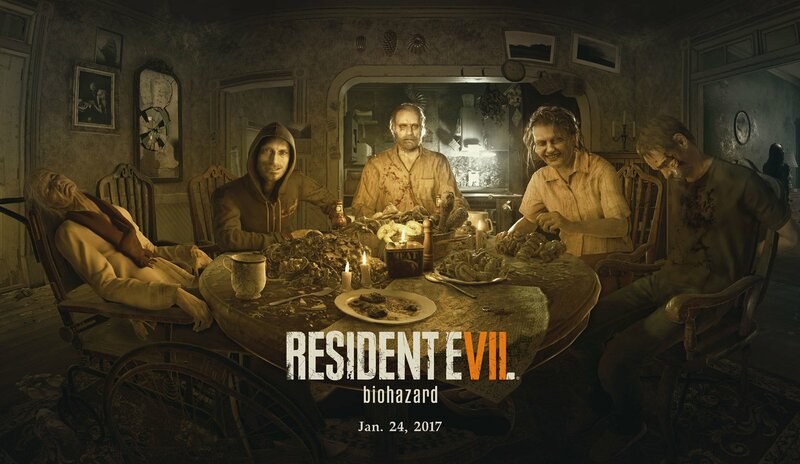 Want to download Resident Evil 7 PS4 exclusive demo version right now? You can find it online, or you can also make a pre order for an official game, which will be released in January 24, 2017.